Three new recipes go head to head in my latest tasting. Try these combinations at home. They all tasted scrumptious! The cake recipe came from Cooks Illustrated. Mayonnaise added soft texture and coffee gave an amazing flavor that complimented the beer flavor very nicely. Once the cakes are baked, whip up a batch of Guiness-infused chocolate buttercream frosting. It’s simple. Use your favorite recipe, and replace the liquid portion with the beer. As you assemble the cake, brush each layer with a generous portion of Guiness. Use the beer frosting between layers and for the exterior. Don’t be intimidated if you’re not a fan of dark beer. I’m not either. Much like using espresso with chocolate, the beer added a subtle flavor that adds a whole new dimension to the flavor. You just have to try it! I used my tried-and-true chocolate fudge cake recipe with a new experiment in filling and frosting. For the filling, I used a simple buttercream recipe and add Peppermint extract instead of vanilla. A drop of green food coloring to made it look really minty. For the chocolate frosting, I looked for a resource that would have the ultimate recipe… Hershey’s of course! The recipe can be found here. It was truly delicious. My taste testers voted this cake as their favorite. To assemble the cake, simply layer the cake with mint filling and use chocolate frosting for the exterior. The filling makes this cake amazing! This cake is layered with chocolate ganache, raspberry -infused chocolate frosting, and raspberry mousse. The exterior is covered in chocolate ganache. When making the various recipes for this cake, mind the ganache! It’s a simple combination of melted chocolate and cream that starts as a hot runny syrup and cools to a very thick fudge-like consistency when it is cold. You can use it at various temperatures to do different things with it. I layered the cakes when the ganache was warm and runny, and I frosted the exterior of the cake when it was at room temperature and could be applied with a spatula. To make the cake, brush each layer with a light coating of ganache. 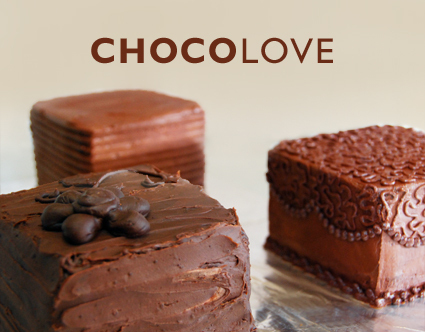 For the bottom layers, fill with the raspberry-infused chocolate frosting. For the top layer, fill with raspberry mousse. Use the raspberry-chocolate frosting to crumb coat the exterior and finish with chocolate ganache. I keep notepads in almost every room of the house and in my car, which is where many ideas come to me, and I write down every creative idea that crosses my mind. About once a week I collect and consolidate my ideas and sort through them. I set up a 2-week schedule of things that I’d like to blog about and keep a running list of what creative projects are coming up next. So far, I’ve had more ideas that I am able to work on. Thanks for the tip! I’ll try to include more of my opinions in the articles.